Juveninkoski is a waterfall located in Jämsä. 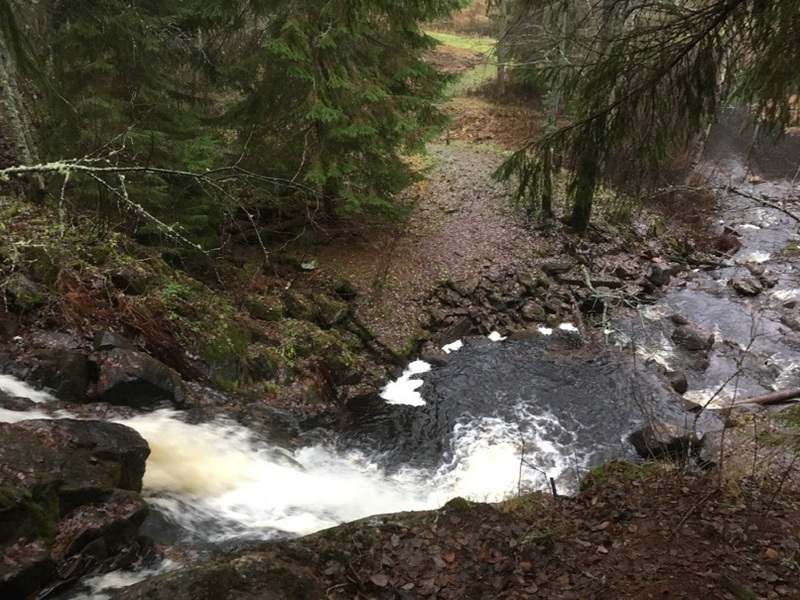 It gets its water from a small Nytkymenjoki river in the village of Partala and it is the largest waterfall in Central Finland. The water plunges down a rocky cliff for about 7 metres. Juveninkoski is a nice sight especially in spring (April-May) when the water level in the river is higher. I mean, let’s be honest here, Finland is not exactly the go-to country for waterfalls, but it’s nice to have some beautiful rapids to see. I visited this place in November after a long and dry summer, but the waterfall was still pretty impressive. For a Finnish waterfall. 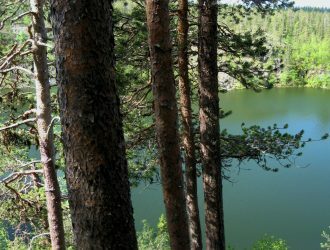 The Nytkymenjoki river used to be very important for the village of Partala. 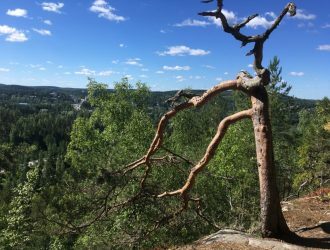 It has 9 rapids as the river is descending towards Päijänne lake, which is about 70 meters lower than the highest part of the river. Juveninkoski is the largest of the falls in this river. From the 18th century onwards the village of Partala was famous for its factories and sawmills, which were established by the river and utilized the rapids in their operations. The Juveninkoski waterfall is located east of the Partalantie road where the road crosses the Nytkymenjoki river. It is therefore very easy to get to, you don’t have to hike anywhere to reach it. 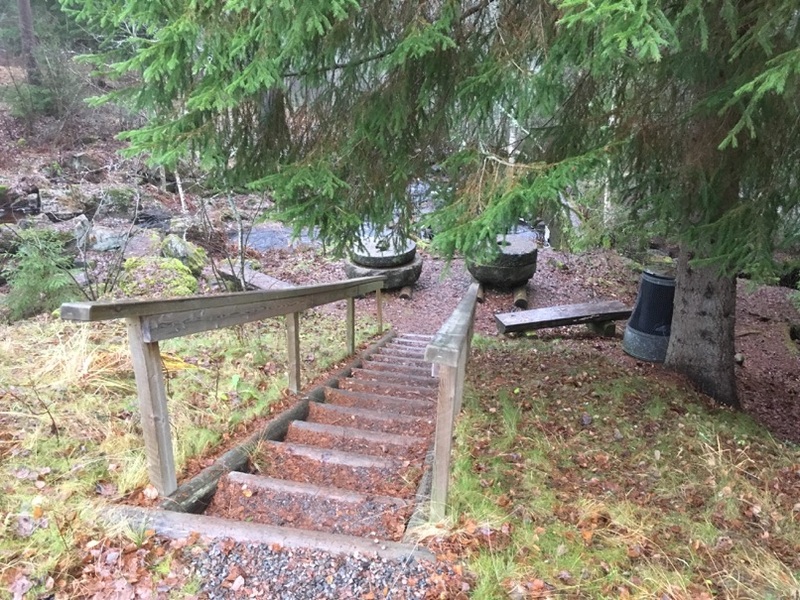 There is a small parking lot by the road, and few stairs helping you to get down to the rapids. You can also descend the hill on the north side of the river and see the fall from downstream. This descend is challenging, but there is also an easier route departing from the school of Partala (from address Partalantie 212). There used to be a mill and a ski factory by the Nytkymenjoki river and the river has also been used for log floating. The waterfall has been named after Heikki Juvén, a ski factory owner born in Partala in 1907. The ski factory manufactured skis for the Finnish Defense Forces. Some remains of the past times, such as blocks of concrete and two millstones on the observation platform, can still be found by the rapid. The village association of Partala is to thank for for the stairs and the observation platform with few benches. There is a brown postbox by the information sign and it has a guestbook that the people in the village would like everyone to fill. Fishing is prohibited in this area but you are allowed to swim in the downstream pond, if the weather allows. Car: Easy. From road 9 going from Tampere to Jämsä turn to Partalantie following a sign ‘Partala’. 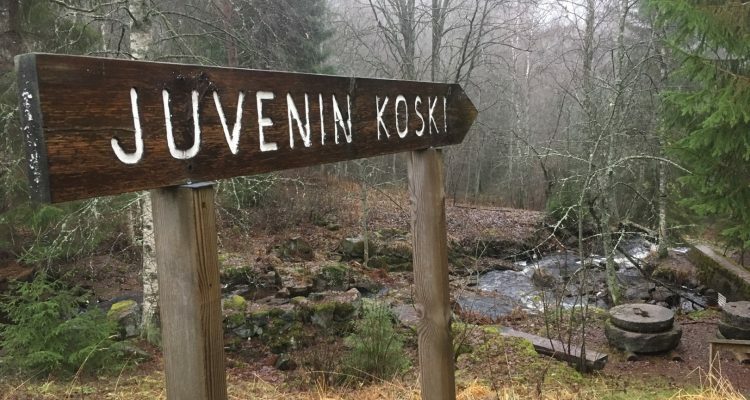 Continue approximately 1,8 km until you see the sign for ‘Juveninkoski’, and park your car on the right side of the road. Public transport: A bus route number 4 operates to Partala from Jämsä. 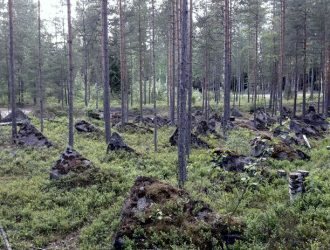 For more detailed information contact Jämsä Tourist Information. Accessibility: To be able to fully see the rapids, you have to be able to descend the hill or the stairs. It is therefore not accessible for all. When to go: Spring and summer are the best times to visit the waterfall. It is not recommended to visit it during winter when the river is almost frozen and covered with snow. The area might also be very slippery and thus dangerous. During the peak of the felt industry, there were seven different felt boot factories working side by side in the village of Partala. The village still has few felt factories, that sell their products in the area. 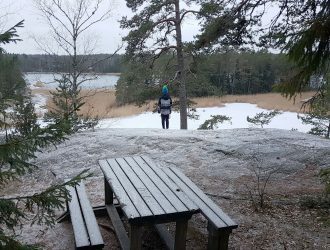 Check out Alhon huopatehdas and Lahtiset. Felt boots are manufactured by hand from pure lamb wool.